Downtown London, Ontario Hotel Offers a Relaxing Atmosphere. 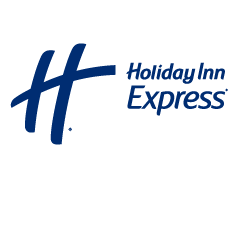 Ideally located within walking distance of the London Convention Centre, Budweiser Gardens and the Western Fair and Racetrack, the Holiday Inn Express and Suites London Downtown provides easy access to a number of parks, restaurants, museums and businesses. Less than 14 km from the London International Airport and 5 km from Parkwood Hospital and the University of Western Ontario, this hotel is also near Victoria Park, Centennial Hall, Museum London, the Grand Theatre, the Banting House, Fanshawe Pioneer Village, Storybook Gardens, Labatt Breweries and the Galleria Shopping Mall. Business travelers can appreciate our charming London, Ontario hotel, conveniently situated near corporate offices such as Siemens VDO, Formet Industries, Copperweld, General Dynamics Land Systems, Wolverine Tube Inc., Jones Packaging, Sun Valley Foods and Accuride Canada. The 3M Canada Company and Beta Brands Limited are located less than 5 km from our hotel in London, Ontario. For your pleasure, our excellent London accommodations offer you free Wi Fi and a complimentary hot breakfast. Our hotel amenities also include a fitness centre, business centre and translation services. We hope you will explore our exceptional London hotel deals and rates as you start planning your trip to London, Ontario today.